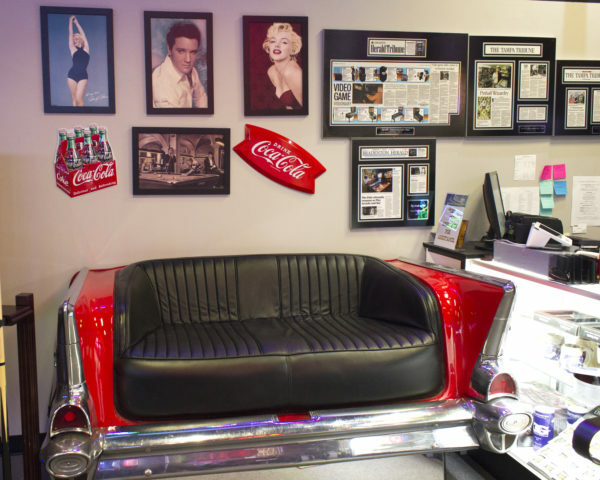 The 57 Chevy is arguably the most popular classic car ever. 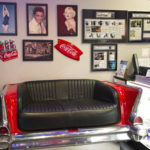 This unique couch is made from an actual 57 Chevy Bel Air. 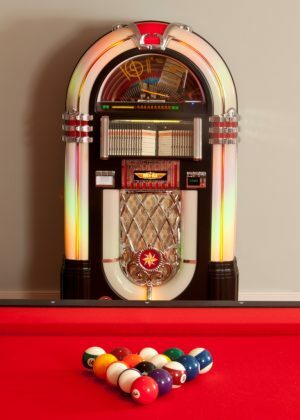 It would be an amazing contribution to any game room. ATARI Pong® Table is inspired by the classic Atari game. There are no screens or digital software; the game is recreated with motors, rails, pulleys, and magnets. 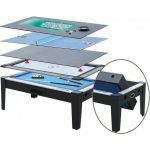 Today with most entertainment products being quite isolating, the Atari Pong® Table is an embodiment of turning back the time and bringing back the personal side of games. The table brings together the high-tech mechanical engineering of today and everyone’s beloved game from the ‘80s. Turn your patio or game room from standard to a standout in seconds! 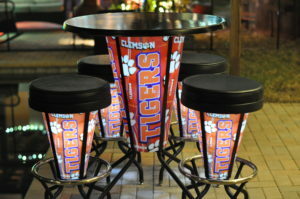 Elite Light Up Table and Stools will get you there. With a durable indoor-outdoor design, you can choose from among our many unique patterns, logos or team images. 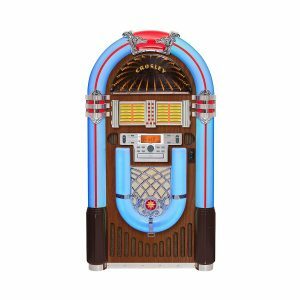 We also have custom panel options – let us customize yours with pictures of your kids, pet, or any image that makes you smile. Zoltar is the classic animatronic fortune teller found in arcades, that stands 6 ½’ tall, and augurs a spoken and printed fortune for you. Richly detailed with a handlebar mustache and beard, a gold head wrap, gold shirt, paisley vest, and jewelry. Zoltar acknowledges your presence and invites you to approach him. 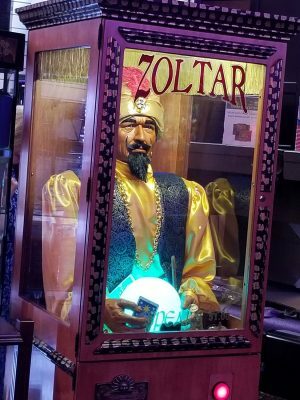 Once you insert a quarter (coins may be removed), Zoltar nods his head up and down as his crystal ball illuminates and he sweeps his hand back and forth. Zoltar provides 16 different spoken fortunes and dispenses one of 23 different printed fortunes in the form of a paper card; 2,000 fortune cards are included. The fortune is dispensed from the front of the cabinet. 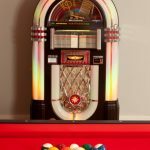 Pool, Air Hockey, Ping Pong, Roulette, Poker & Dining.